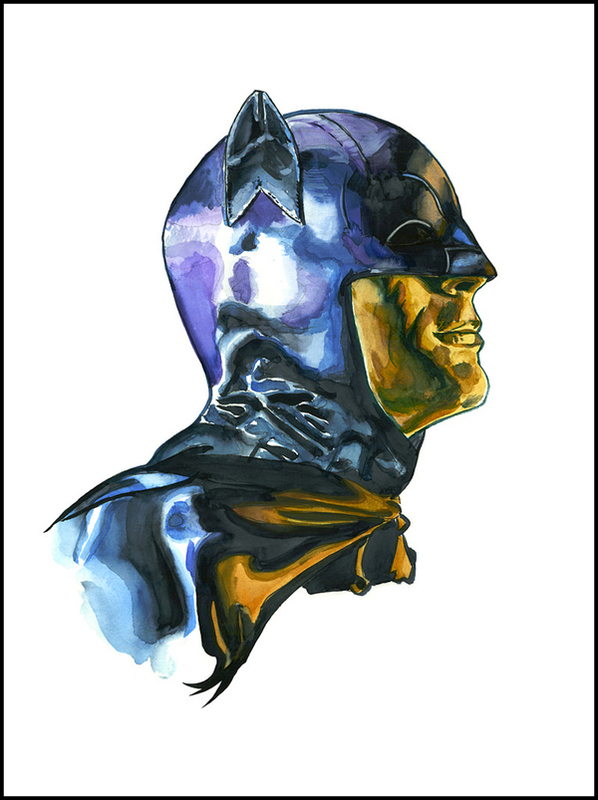 A new release in the ongoing SHINY OBJECTS series of watercolor portrait prints by artist Tim Doyle! Our last release- Shiny Punk sold out within minutes- be ready with your clicky-fingers on this one- being released tomorrow, Tuesday the 17th at 2pm Central Time. “Dynamic” measures 12×16 to match the other releases in this series, and will be signed and numbered in an edition of 50. There will be 5AP copies in the mix tomorrow as well. There will also be this Black and White variant edition of the print- limited to just 10 signed and numbered copies! And, because we’re totally in love with our new Giclee printer, we’re going to be randomly giving away ONE copy of the regular print and ONE of the variant produced at a MASSIVE 24×36 with orders for these. They will be the ONLY copies at that size made available to the public. 1/1 ! These fine-art giclee prints will be printed on cold-press natural watercolor paper, with genuine Epson Ultrachrome archival ink, directly in the Nakatomi studio. Prints should ship within 1 week of on-sale date. Regular edition will be $30, and the variant will be $40. These prints will never be reprinted! Prints will be available at the top of the TIM DOYLE section of the Nakatomi store, tomorrow around 2pm Central time! PS- you can see process pics of the entire painting process in our INSTAGRAM FEED here!